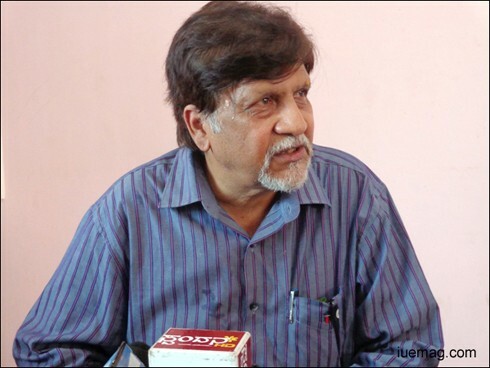 S. V. Rajendra Singh Babu is a Kannada film maker and producer. He was born and brought up in Mysore. His father late Shankar Singh was one of the great producers in Kannada Film Industry and has produced many films under the banner Mahatma Pictures (Mysore). Rajendra Singh Babu has made movies in different genres. He has written and directed love stories, War, suspense thrillers and comedy movies. Many of his films have been adapted from novels or short stories. He is not only famous in Karnataka but also across all of India. Babu has won numerous awards for his films and has also directed movies in the Hindi and Telugu languages. Vijayalakshmi Singh, wife of actor Jai Jagadish is his sister. Who is your inspiration to enter this field of cinema? Both my father and mother were into the film industry. So, right from the beginning my father has been an inspiration for me. Apart from that, while growing, I was inspired by many movie makers in Hollywood, Bollywood and Sandalwood (Kannada film industry). How did you start your career? Were you passionate about direction since childhood or you entered the field and then found it to be your passion? As I stated earlier, because my family was in the film industry, it was an inheritance for me. My parents never wanted me to enter this field as they wanted me to be a doctor. I was very much passionate about photography. I wanted to achieve something in that field. I travelled historical places and, at times, used go to places that were totally unknown to me and capture pictures there and write articles on the same. That was my hobby. My articles were featured in Sudha magazine, Deccan Herald and few other dailies. This talent in me helped me a lot in my profession. The artistic view helped me become a good director. Which was your first film and how was the experience working for the first time? 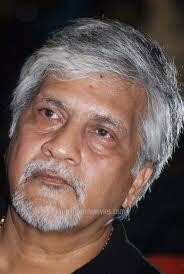 I started working with my dad for a film with Dr. Vishnuvardhan as an actor. It was a black and white film titled 'Nagarahole', which was my first film. It was a film belonging to a completely different genre and nobody had ever made a film of that kind, then, in Kannada industry. It was an adventurous film and majority of the footage was given to children. I was the youngest director then. At the age of 24, I directed my first film. How challenging was your journey in this industry? Every film is challenging. Nagarahole was the first of its kind. It was made with children and wild animals. Subject itself was very challenging. Another movie of mine, 'Anta' was also very challenging because it questioned the existing political system. During 1980's Dr. Vishnuvardhan was an action hero. In the movie 'Bandhana', he played the role of a romantic hero. That was a risk again. 'Muttina Hara' was yet another challenging subject that was completely an army based story. I directed some comedy films also in my career. So every single subject I took was a risk as I wanted to experiment with new concepts, explore new things, and give a new taste to the audience. I invited challenges and still continue to do the same. Right from the point of time when the idea is conceived till the time it reaches the big silver screen, every step is a challenge in this field of cinema. We lack some good researchers in the film industry. We need to work a lot in the marketing field as well. Earlier, we had put big cut-outs and posters in the streets but now it is not the same case. Due to the media, internet and the advanced technology we can very easily interact with people. We get the feedback directly from the viewers. We are closer to people now. I have made 8 films in Hindi, 7 in Telugu and in Kannada, about 35 films. I believe that creativity doesn't have any barriers and language can't be a barrier either. Human emotions are the same in any part of the world. Movie is a universal language. It has been an enriching experience in the movie industry so far, and I'm looking forward for more. I was very much interested in movies always. In those days, we didn't have a television at home. We had to go to theatres. Every day I used to watch movies. There was a theatre nearby our house in Mysore. Whether the movie was in Tamil, Kannada, Hindi or English, or any other language, I used to watch it. That's how I became completely addicted to this colourful industry. Do you consider anyone as your competitor today? No! I do my work honestly. I see and do things in a very professional way. I always carry that spirit and energy to do something different and out of the box. Even today I keep in mind and ensure that when I am picking a film, I choose a concept in a way that others can't dare touch that subject easily, because I love experimenting with new genres. It's important to take risks. One can't really say what impacts whom. So, I love introducing new style every time. I am happy that so far people have welcomed and accepted all my ideas wholeheartedly. My subjects are very expensive and people fear even touching it. For example, after I made 'Anta', there were thousands of movies that came with a similar story line but nothing was comparable to 'Anta'. Even after "Bandhana" same thing happened. But in case of 'Muttina haara' movie, people till date haven't dared touch that subject. It's not that easy a subject to play with. How do you think Sandalwood can move forward and grow big like other film industries? Lack of marketing is the key loophole. We are yet to build a good marketing team here. We should start releasing our movies in different states and abroad as well. We also combined two-three film makers and made movies but there were a lot of coordination issues. Few ate away all the profits. They should be generous. Unfortunately, they aren't. Many talk about Kannada but don't come forward to invest. So, lots of new initiatives have to be taken to foster Sandalwood and make it the number one film industry.